Vodafone has launched new prepaid packs to challenge Reliance Jio. It is reported that this telecom company has launched prepaid packs of Rs 99 and Rs 109. Both plans will come with unlimited voice calling facility. Their validity will be 28 days. In the Vodafone Plan of Rs 109, the Internet data will be provided to the user. It is worth noting that Vodafone's free voice calls available in these plans are not completely unlimited. These plans will come with daily and weekly free call limit. Both new Vodafone subscribers will get unlimited local, STD and roaming calls. Telecom Talk has given this information. Apart from this, 1 GB 3G / 4G data will also be provided for use in the Vodafone Plan of Rs 109. As we already told you, the validity of this plan is 28 days. There will be a limit to unlimited voice calls Vodafone subscribers will be able to call up to 250 minutes of free calls every day and the limit will be 1,000 minutes in a week. In addition, users will be able to call up to 100 different numbers for 28 days. 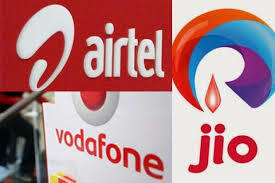 It is very clear that both Vodafone plans are for users who want the facility of voice calls. In response to Vodafone's new plan, Reliance Jio's recharge pack is 98 rupees. In the validity of 28 days, the user receives 2GB 4G data, unlimited voice calls, and 300 SMS. On the other hand, this plan of Vodafone will also be confronted by the government-run telecom company BSNL's recently launched 99-rupee plan. In addition to this, Yazer has unlimited national and roaming calls, except Delhi and Mumbai Circle. The validity of this plan is 26 days.